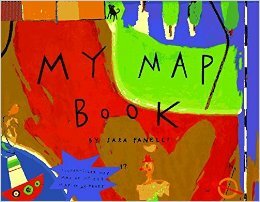 his project has students add features and paint a map of their own face, based off of a page from the book “My Map Book” by Sara Fanelli. 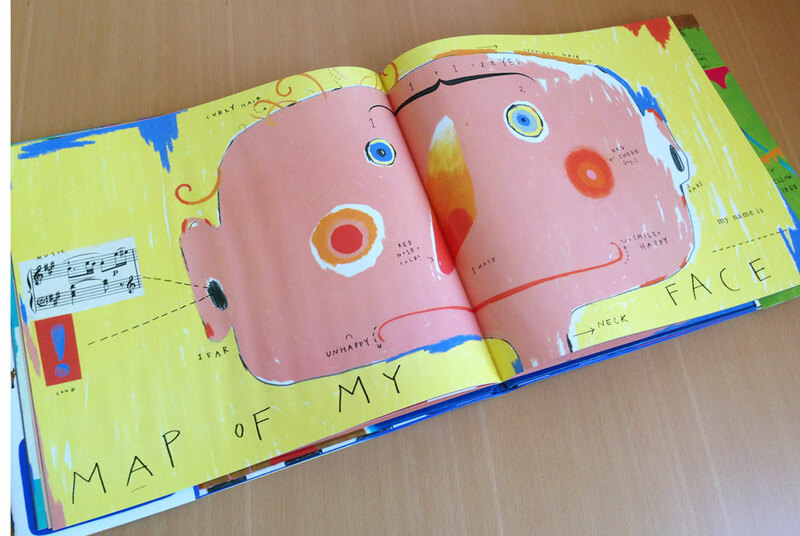 Students begin with a large piece of watercolor paper with a head shape already on it. They can then eyes, nose, mouth, hair, and ears to the picture in pencil, then trace in sharpie. Then they must match accurate labels to the parts of their face (eyes, mouth, etc) and glue the labels on, and lastly they then paint the picture in watercolor.